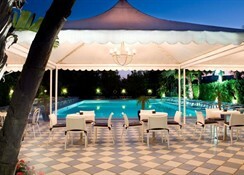 This holiday resort is located just a short walk from the coast, in a charming residential area in Sorrento. The local rail system is only a 5-minute walk away at Sant'Agnello and offers access to Naples, Herculaneum and Pompeii. The centre of Sorrento is 1 km away and offers a variety of shopping opportunities, bars, restaurants and nightlife. The nearest beach is 250 m away. The airport at Naples is 47 km from the property. 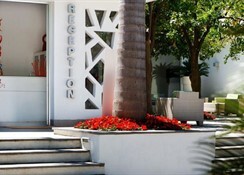 The resort, which was renovated in 2007, features a delightful modern design and is surrounded by citrus groves. It has 56 air-conditioned rooms fitted with all necessities. Guests can entertain themselves at the TV room or grab a drink at the bar. Snacks and drinks are also available at the poolside bar, where guests can indulge in refreshments without interrupting their sunbathing. 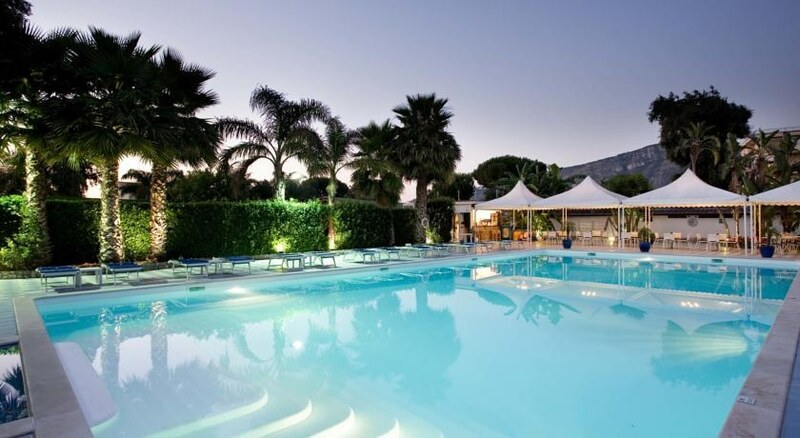 There is a lovely swimming-pool with pool-side bar, sun chairs and towels (open from may to September). From the airport, take the Autolinee Curreri bus and get off at Sant'Agnello in Sorrento at the Circumvesuviana station. 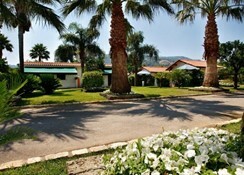 The resort can be found 300 m away, a 10 min walk along Viale dei Pini, which takes to the Resort. By train: from all directions, arrive at the Naples Central Station (Piazza Garibaldi) and continue with the Circumvesuviana train for Sorrento. 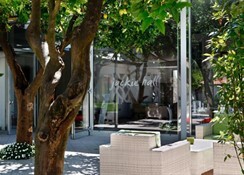 Get off at the Sant'Agnello station, and proceed with a 10 min walk along Viale dei Pini. 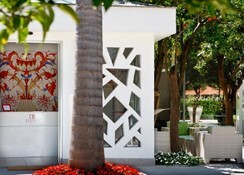 The resort, which was renovated in 2007, is a delightful modern design property set among fragrant citrus groves, while the shaded terraces of the lounge area provides an ideal escape from the summer sun. It has 56 rooms in total. It is air-conditioned and has a lobby with 24-hour reception, a hotel safe and a TV room. 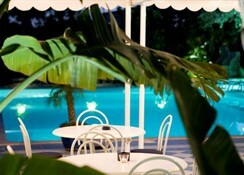 Further facilities on offer: 2 bars, including one poolside bar, serving snacks and drinks. Parking facilities are available for guests arriving by car. A snack service is available from May to September at the pool bar.Pets are not allowed.The standard bungalows are very simple units composed by a room with a double bed or two twin beds and a bathroom with shower. They all have hot/cold air conditioning and cable TV. They are not equipped with kitchenette facilities. They are suitable for a young public. The studio apartments are composed by a 1-room where have the kitchen corner (fully equipped) and the double bed, the bathroom with shower and a private veranda with table and chairs. They all have hot/cold air conditioning, TV and safe. They are furnished in a modern style. The 1 bedroom apartments are composed by a living room with a fully equipped kitchenette and 2 twin beds, a master double bedroom, a bathroom with shower, a private veranda with table and chairs. They all have hot/cold air conditioning, TV and safe. They are furnished in a modern style.